This month, hundreds of international development practitioners, social entrepreneurs and policy-makers descended upon a tiny country to tackle big challenges. It was European Microfinance Week 2018 and I was in Luxembourg participating in a panel sponsored by the United Nations Capital Development Fund (UNCDF) CleanStart program. My fellow panelists and I gathered to share learnings on the interplay between microfinance, pay-as-you-go (PAYGo) financing and energy access. The other three panelists represented three organizations in the off-grid energy space: Micro-Energy International, Village Power and Mobisol. While we are all working and competing in the same industry, we have a shared purpose. Each of us wishes to improve access to affordable, clean energy for low-income people in developing countries. 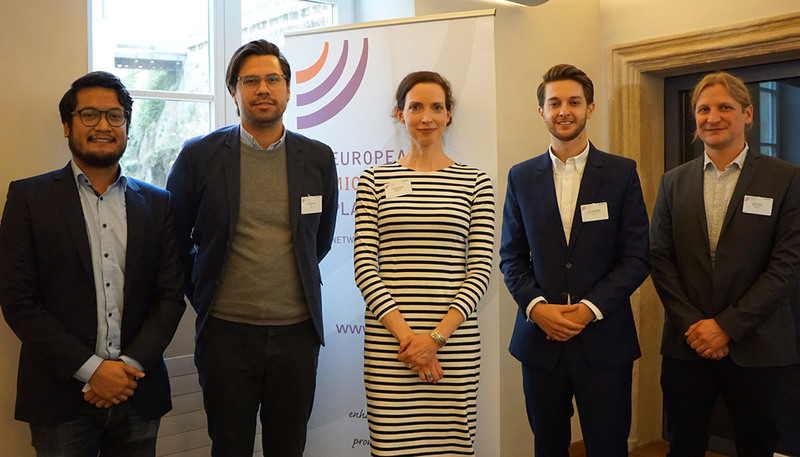 Stefan Grundmann (second from right) and his fellow panelists at European Microfinance Week 2018. 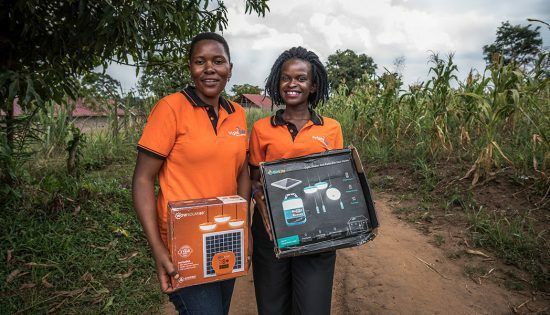 As the President and CEO of BrightLife, I spend every day at the intersection of PAYGo solar energy and microfinance institutions, like FINCA Uganda. We launched BrightLife with the thesis that, by combining the financial acumen of a microfinance institution with the lean and agile nature of a social enterprise, we could bolster access to life-enhancing products and services, like energy. Like financial inclusion, energy access is an important step on the path to poverty alleviation. This is central to FINCA’s charitable mission. Loan criteria: Simple—all that’s needed is a small customer deposit and basic documentation. Underwriting: Fast—BrightLife approves clean energy product loans in minutes. Credit Actions: Automatic—If a customer becomes delinquent, their solar product can be remotely deactivated. Repayment: Flexible—BrightLife builds repayment flexibility into its pricing. Of course, microfinance institutions offer tremendous strengths and have competitive advantages when it comes to financing clean energy products. These include larger balance sheets to lend from due to their customer deposit base, improved protocols for loan recollection that have been refined over decades, and a trusted brand and identity. Fortunately, BrightLife combines the best of both worlds here. 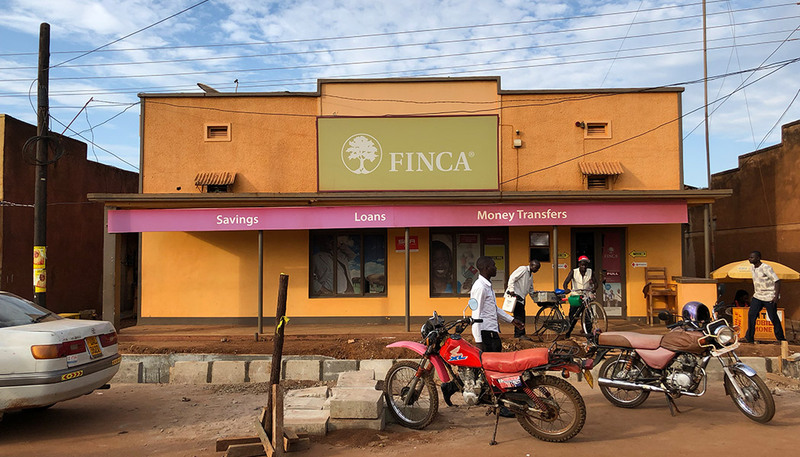 Nearly everyone in Uganda knows FINCA, so BrightLife’s connection to FINCA allows us to inherit that trust. FINCA Uganda Branch in Hoima, which also serves as a customer acquisition point for BrightLife. PAYGo business models borrow a page from the microfinance playbook: using credit to empower low-income customers. BrightLife can “lend” clean energy products to poor, off-grid families through flexible, monthly payments. At the same time, BrightLife can reach clients that may be too risky for a microfinance institution. Historically, microfinance institutions have struggled to distribute, promote and maintain assets like solar home systems. But, microfinance institutions offer the tremendous benefit of more impactful financial services. For example, access to a range of credit, savings and even insurance products. Because of this, BrightLife is using PAYGo data analytics to build credit profiles for its energy customers and help transition them to FINCA Uganda. In doing so, BrightLife is helping underbanked and off-grid families climb the financial and energy inclusion ladders. PAYGo enterprises and MFIs operate two very different businesses. However, their complementary nature offers the chance to achieve unprecedented financial inclusion and energy access at scale. This is what gets me and our team excited about the task ahead. If we continue to combine socially-responsible finance, PAYGo technologies and life-enhancing products, like solar energy, we can—with the support of donor capital—provide disruptive solutions to some of the world’s most pressing challenges.